Place a power button on your kid! 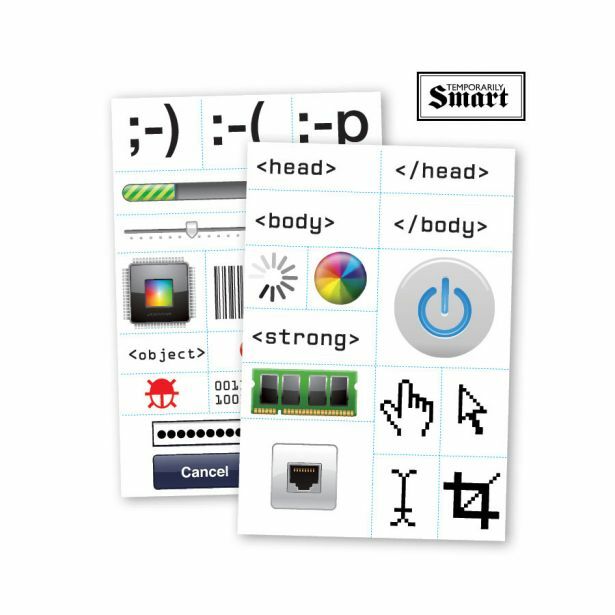 This set comes with cursors, emoticons, computer code, and more. 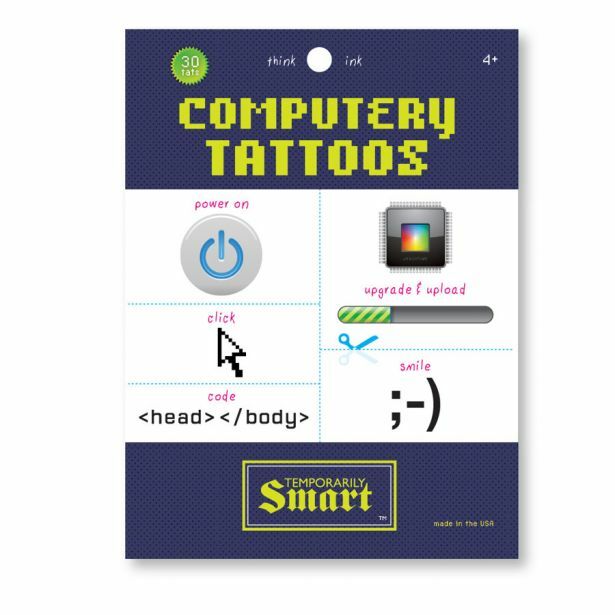 Its all there in one smart set of Pixels and Ink! 30 fun tattoos on 2 4x6"sheets.